Epcot is a truly amazing place. 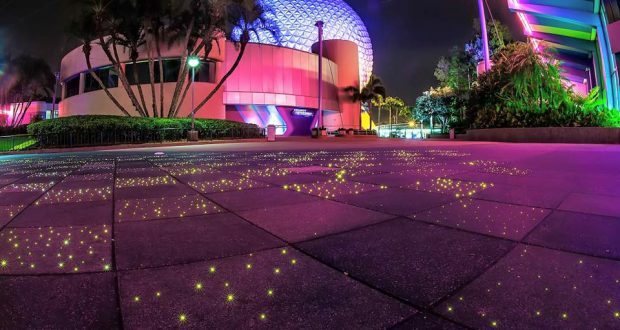 With all kinds of incredible science-related attractions at the front of the park, and the opportunity to travel around the world, we can’t imagine Disney World without this amazing place. That said, many people are under the impression that Epcot is only for adults. 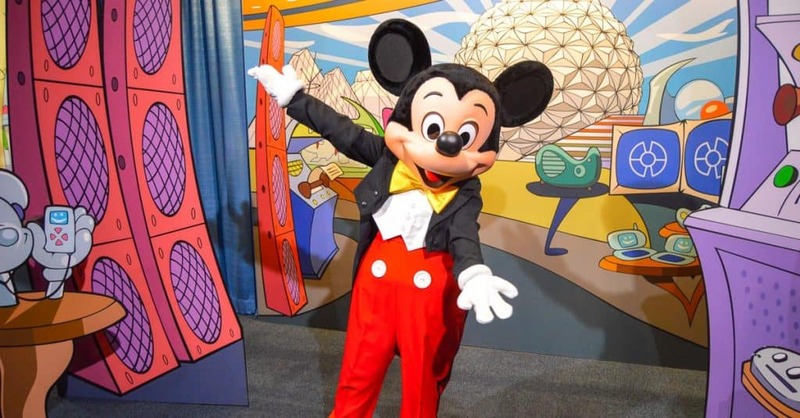 This is unfortunate because it means many visitors are skipping the park altogether in search of something more ‘kid friendly’ when Epcot is in fact wonderful for children, adults, and every age in between. 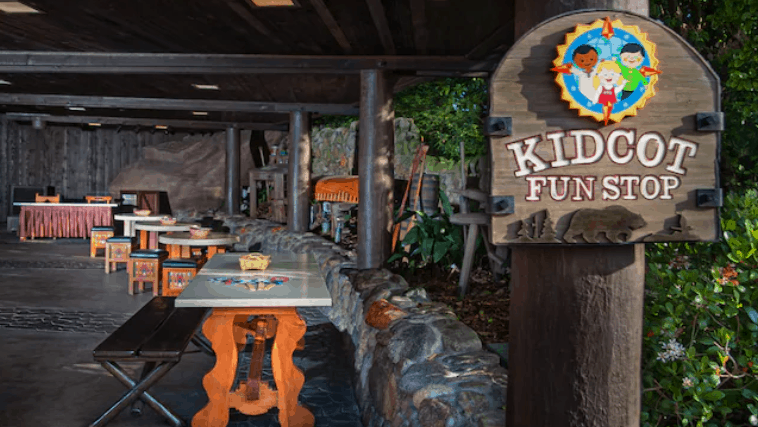 Wondering what kids will love about Disney World’s second park? Check out these amazing options. If your kids like Nemo (and who doesn’t?) 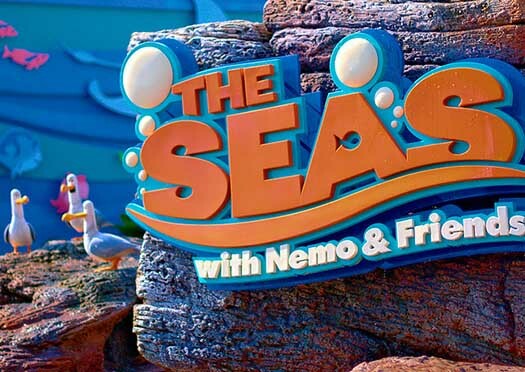 The Seas with Nemo and Friends is the spot for them. This awesome building is a gorgeous and enormous aquarium which houses all kinds of marine life, as well as a Finding Nemo dark ride. Also found in this build is “Turtle Talk with Crush”, a super cool attraction which allows guests to have a chat with Crush himself! Imagination is a huge part of childhood. That’s why Journey Into Imagination with Figment is just perfect for younger visitors. This slow-moving dark ride takes guests on a journey through the labs of the Imagination Institute, where they learn how the senses help our imaginations along. However, Figment—the small purple dragon the ride is named for—has other ideas, and the whole experience ends in a colorful and fun series of scenes that little ones adore. Located next to Journey Into the Imagination with Figment, you’ll find the Pixar Short Film Festival. This particular attraction is a perfect break from the heat and bustle of the park. It features a few different Pixar shorts shown in 3D, with a few awesome added effects to make the whole experience a bit more entertaining. 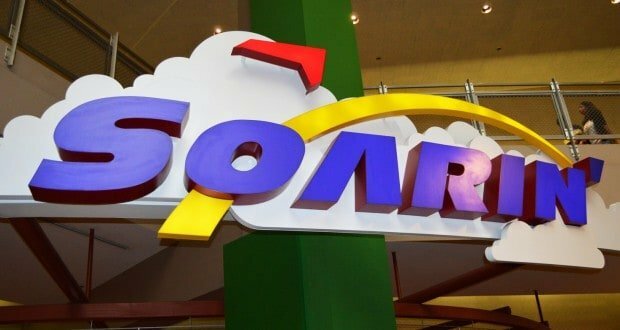 While there is a 40-inch height requirement to ride this attraction, most people find that their preschool-aged children meet this requirement, and the ride is absolutely perfect for families. The attraction takes guests on a gentle hang-gliding journey around the world that thrills people of all ages. Frozen Ever After is currently the newest ride in Epcot. It is also one of the most popular of the Epcot attractions. This slow-moving boat ride sends guests through Arendale, where they meet several of their favorite Frozen characters and hear many of the beloved songs from the movie. This is a must for Frozen fans, but be sure to get a FastPass if you can. If you happen to find yourself in the Mexico Pavilion, be sure to head into the building. There you’ll find a classic dark boat ride that is just perfect for young kids. The ride features Donald and two of his cartoon bird friends, allowing guests to join the birds on their adventures through Mexico. It’s colorful, fun, and full of memorable moments. Believe it or not, Epcot is one of the very best places to meet favorite Disney characters. Several characters can be found in the World Showcase, and several of the Fab Five can be seen at the Epcot Character Spot. Of course, the ideal way to meet characters is by dining with them. You can do this at The Garden Grill or Akershus in Epcot. Another thing that Epcot has going for it when it comes to entertainment for kids are their play areas. There is an awesome shark play area in The Seas with Nemo and Friends building, and a space-themed playground at the exit for Mission: SPACE. Meanwhile, outdoor playgrounds are often set up for the various festivals that happen throughout the year, and the splash pad located at the bridge to World Showcase is the perfect place to let kids cool down while having a blast. Last but not least, we must mention the Kidcot Fun Stops. There is one fun stop located in each of the pavilions in the World Showcase, and each stop gives kids a chance to chat with a person from the country represented, get a sticker on a provided Ziploc bag (aka “suitcase”), and can do a bit of coloring. These are a great way to keep kids engaged while wandering the World Showcase.